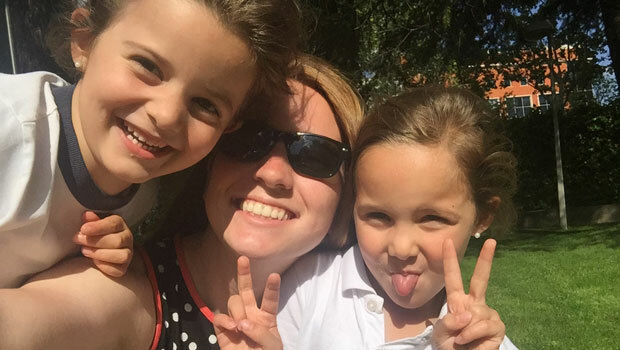 Tamara P. from the United States is an au pair in Spain. Preschoolers are full of energy and questions. They are in a hurry to learn about the world. Preschoolers like to practice their new motor skills. Preschoolers like to play outside. Preschoolers like physical play: running, climbing, jumping, swinging, and more. Preschoolers like learning about their bodies and what they can do. Preschoolers like to take care of themselves: feeding, dressing and going to the bathroom without help. Preschoolers are better organized than toddlers. They are more confident and less likely to fall. As they approach school age, preschoolers become more physically coordinated. A three-year-old can stand on one foot, dance, and jump. A four-year-old can skip and do other more complicated movements. Preschoolers learn by doing. Encourage the preschooler in your host family to learn self-sufficiency and how to do things for themselves. Sometimes, this takes a lot longer than it would take you to do something for the child, but it is important that they learn these skills. Understand children’s bodies and that sitting still is not as easy for preschoolers as it is for us. Because they are growing so quickly, children need to exercise their new muscles. If a child is restless and fidgety, it means they need some time to move. Preschoolers will occasionally have bathroom accidents. These are very embarrassing for the child, so don’t get angry at them. Young children sometimes forget to go to the bathroom when they are having fun or when they are busy with an activity. Remind the child to go to the bathroom regularly - this will help to avoid accidents. Most preschoolers take naps during the day, though naptime varies widely from child to child - some children need a long nap every day, while other children need only a short nap, or only nap occasionally. Many preschoolers grow out of naps and don’t need them as they approach school age. As you get to know your preschooler well, you will understand his need for sleep and will even be able to predict when he takes a nap. Even preschoolers who don’t sleep during naptime may benefit from a quiet rest time, when they can look at books or play calmly. Preschoolers pay so much attention to their games and play that food may lose the importance it had when they were toddlers and infants. They may not want to stop playing to eat, and may become upset when adults end their playtime for dinner. You can avoid preschool protests by giving the preschooler lots of notice before mealtime - let them know when the meal will be, and give them a five-minute warning before their play has to end. Just like toddlers, preschoolers need help with transitions. Like toddlers, preschoolers enjoy helping to prepare food and cleaning up, and love to socialize with family members (and with you!) during mealtimes. Eager, energetic preschoolers may dominate the mealtime and sometimes need to be reminded that mealtime is a calm time when everyone gets a turn to talk. Encourage preschoolers to try new foods, but don’t force anything. Dinnertime shouldn’t be a battle. Even four spoonfuls is enough. Work with your host family to provide safe places indoors for active preschooler play. Preschoolers also really enjoy outdoor play. Playing outside is important to development and for exercise. Talk with your host family about what kind of a play schedule they have in mind. Preschoolers are very physical and need to move! Provide time for both active and quiet play, and plan playtime according to the child’s schedule. Active play before bedtime will make it more difficult for you to put the child to bed. Supervise children when they play on playground equipment and with riding toys. Preschoolers like to build with blocks and other construction toys. Simple puzzles, puppets, toy cars, people, and animals are also popular with children this age. As children grow out of the toddler stage, you will see a change in their play. Instead of focusing on the toy or object and experimenting with what it can do, preschoolers begin to engage in imaginative play. They create imaginary characters and situations, and will even carry on elaborate conversations with their new invisible friends. Preschoolers enjoy imitating grown-ups. You will see them pretending to be their parents and even you. You should feel free to join in this imaginative play - the child will be happy to include you in the game, and it can be a fun shared experience for both of you. 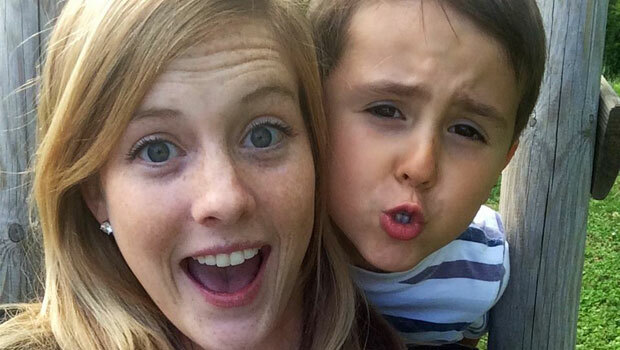 Tessa O. from the United States is an au pair in Australia. Preschoolers like to make friends. Preschoolers like to play near other children, but not always with other children. Preschoolers like fantasy play and role playing: dressing up like mommy and daddy, or superheroes. This is how they practice skills they will need as they grow. Preschoolers like to play with imaginary people and animals. Preschoolers (particularly four- and five-year-olds) like to make jokes and to shock people with bathroom words. Preschoolers like to boast about what they can do. Preschoolers like listening to stories. Preschoolers like to help adults. Preschoolers like to make jokes. Preschoolers like to please adults. This positive feedback will further encourage good behavior. Preschoolers can be content and relaxed, but can also be demanding and impatient. They are often very willful, bossy, and may boast or exaggerate. Like toddlers, preschoolers have a hard time telling the difference between fantasy and reality - they may tell incredible stories about something they think they saw. This is normal behavior for preschoolers. It is normal for preschoolers to show aggression. They may hit, kick, or bite occasionally. They have a hard time resolving conflict with other children, and may get into fights over disagreements. Let the child know that this behavior is not OK, and that hitting, biting, and kicking hurts people. Ask your host family how they prefer to handle this kind of behavior. If the child is violent often, or is very aggressive, talk to your host parents about what you should do. In addition, tell your host parents if the child deliberately hurts themselves, or frequently shows panic-stricken behavior: extreme anxiety and an inability to calm down when reassured. Many preschoolers attend daycare one or more days per week. This helps to prepare children for school, and also offers opportunities for socialization. Most preschoolers enjoy their time in school, but it is occasionally difficult for them. See part two on Difficult Goodbyes for tips on taking a reluctant preschooler to school. It is very important that you always arrive on time to pick up a preschooler from daycare. Children this young don’t understand why you might be late, and will quickly panic if you are not there when you are supposed to be. Preschoolers may also have play dates, or arranged appointments for socializing with their peers. Keep these visits relatively brief (no more than two hours or so) so that the children do not get tired or overstimulated. Now that they have learned how to talk, preschoolers often never seem to stop talking! They want to talk about everything you do during your day. Preschoolers ask a lot of questions, especially “Why?” Be as patient as you can and remember that they look up to you and admire you; they ask you so many questions because you’re an adult and you know a lot. When you include them in errands you run, or anything you do around the house, talk to them about what you’re doing and encourage them to help you. Show the child that you are interested in what he has to say, and listen to what he tells you. Preschoolers like to use their new language abilities to make jokes - the sillier, the better! Q: What kind of fish goes with peanut butter? Q: What do an eagle and a lion have in common? A: They both have wings, except for the lion. Make up your own silly jokes with the preschooler in your house for lots of fun. Jokes are a good way to pass time in the car when the children are restless.